A left-leaning think tank gets a visit from the thought police for heresy on regulation. What good is a think tank if thinking isn’t allowed? That’s the question the hard-left senator from Massachusetts, Elizabeth Warren, forced on the soft-left Brookings Institution by getting one of its top economists fired. 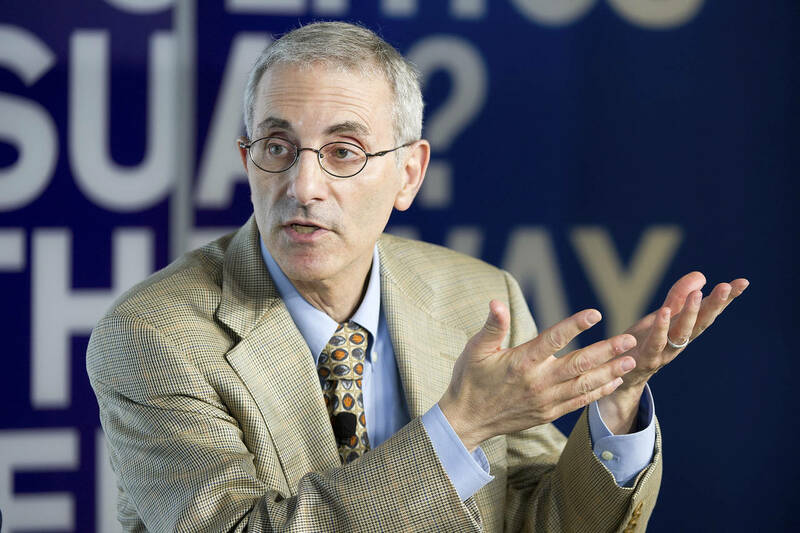 Her victim is Robert Litan, a Democrat who served in the Clinton administration and had been associated with Brookings since the 1970s, including as a former director of its economics division. The ambush of Mr. Litan occurred in Internet time. At 8:30 a.m. on Tuesday last week, the Washington Post reported online a letter Ms. Warren sent to Brookings complaining about him. Twitter lit up, with her fans demanding Mr. Litan’s head. “If @BrookingsInst has integrity will loudly fire ‘scholar’ Robert Litan today, declare new policies. If not . . .” tweeted David Cay Johnston, a left-wing writer, at 8:52. By 9:30 Mr. Litan was gone. In July Mr. Litan had testified against a Warren-backed Labor Department plan to regulate financial advisers. His cost-benefit analysis estimated that during a market downturn the regulation could cost investors—especially those who aren’t wealthy—tens of billions of dollars by depriving them of advice, such as against panic selling. Half of House Democrats and virtually all Republicans in Congress oppose the plan because of its costs. Instead of rebutting his argument, Ms. Warren decided to punish it. Her letter to Brookings president Strobe Talbott accused Mr. Litan of concealing a conflict of interest. The first page of Mr. Litan’s testimony says: “The study was supported by the Capital Group, one of the largest mutual fund asset managers in the U.S.” She called that disclosure “vague”—an obvious falsehood. Mr. Litan told Brookings in July he was unaware of a new rule at the think tank against nonresident scholars indicating a Brookings affiliation when testifying to Congress, but that became a problem only when the Warren letter made it one. Ms. Warren herself took lucrative consulting assignments when she was a professor at Harvard Law School. A group of Democratic economists—including former Clinton administration officials Joseph Minarik, Bowman Cutter and Everett Ehrlich—signed a letter last week defending Mr. Litan: “Sen. Warren’s approach (and Brookings’ complicity with it) threatens ad hominem attack on any author who may be associated with an industry or interest whose views are contrary to hers.” Mr. Litan’s Twitter defenders used the hashtag #McCarthyismOfTheLeft. Ms. Warren’s inquisition isn’t about ethics but about suppressing cost-benefit analysis, which until the Obama era was a bipartisan approach to identifying regulations doing more harm than good. A book published last year, “Trillion Dollar Economists: How Economists and Their Ideas Have Transformed Business,” details that history. The author, Mr. Litan, describes the great era of deregulation beginning in the 1970s, during the Carter administration. He shows how deregulation helped make the Internet economy possible. “Economists from across the political spectrum were well ahead of the politicians and regulators in advocating deregulation,” including of the telephone, railroad, trucking and airline industries, Mr. Litan notes. Their efforts helped end regulations whose costs swamped their benefits, putting an end to the high prices and reduced competition that typify highly regulated industries. Mr. Litan cites Amazon as an example of a company made possible by deregulation: Online retailing wouldn’t have worked without access to unregulated transportation and a flexible delivery system. Bill Clinton presided over the launch of the “permissionless” Internet, free of regulations that micromanage the telecom industry. President Obama reversed this approach, submitting the Internet to regulations on prices and business practices. One of the legal challenges to the new Internet regulations is the absence of cost-benefit analysis. Clinton-era Democratic economists are tracking the decline in broadband investment now that the Internet is being regulated as a public utility. Hayek nails it again and we are witnessing his predictions in real time.